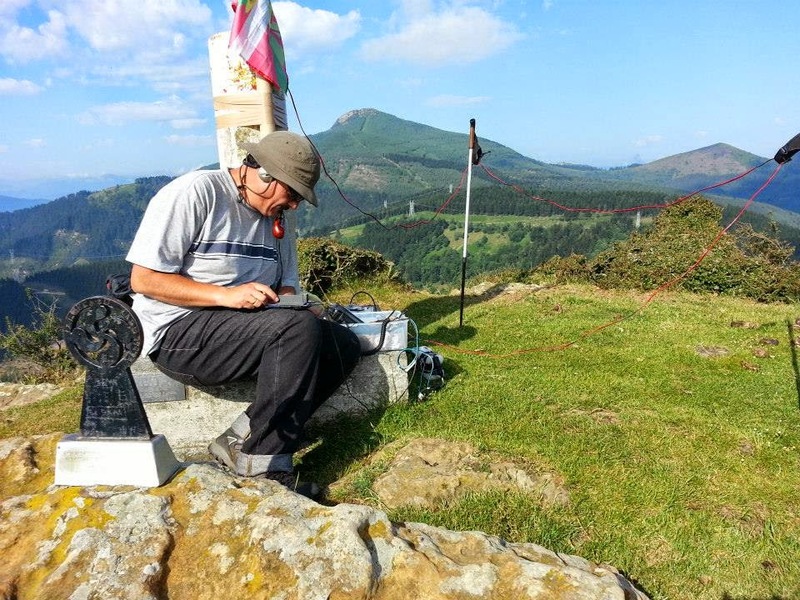 Today, early in the morning, Marcial EA2BDS and me were ready to make another brief activation on Mt Ganeroitz 561 m), and 16 km from Bilbao. We both were busy after noon, so we met at 06:30 EA beside my home to begin the short trip. After arrival, 1,5 km approach (30 min) was necessary to reach the summit. The views just after dawn were amazing, and made us spend some time enjoying them. Then we started the setup, both with FT-817 and norcal doublets. 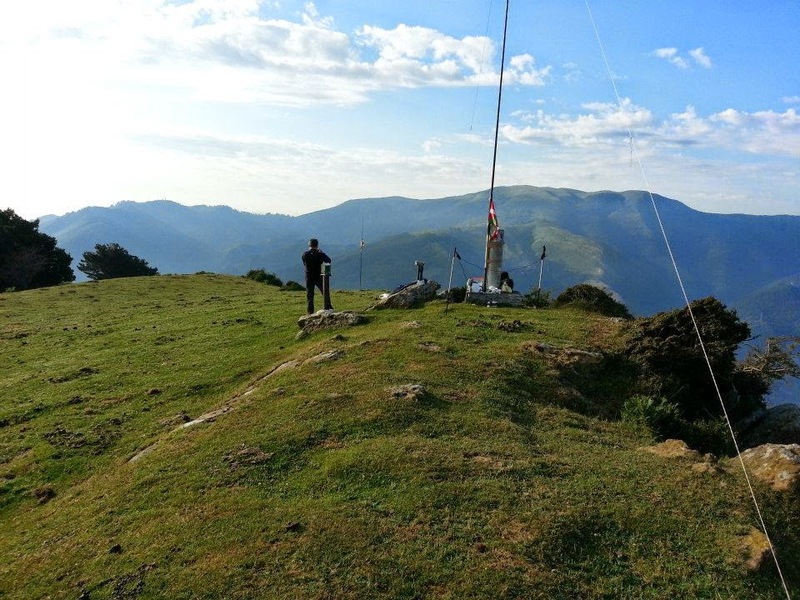 At 06:30z we started the activation on 10 and 14 mhz. The propagation was not specially good, with strong QSB in EU sigs. Suprisely, Marcial made a qso on 10 mhz with Matt VK2DAG. Nor the band neither the hour were the most appropiated to. 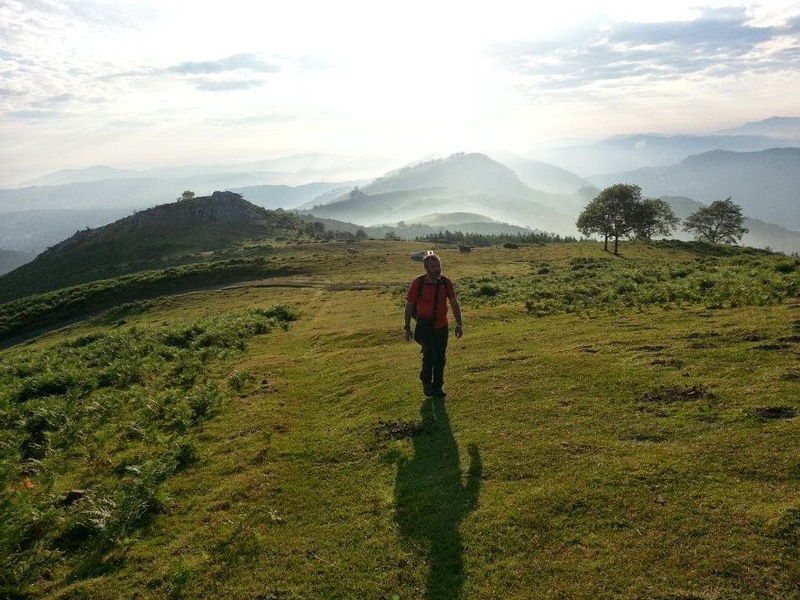 Later some old mountaineers arrived to the summit and started his "amarretako" (middle-morning lunch, literally "of ten o'clock" in basque) and we made some talk with him. They seemed to be interested on ham radio, as one of their fellows was ham radio operator. 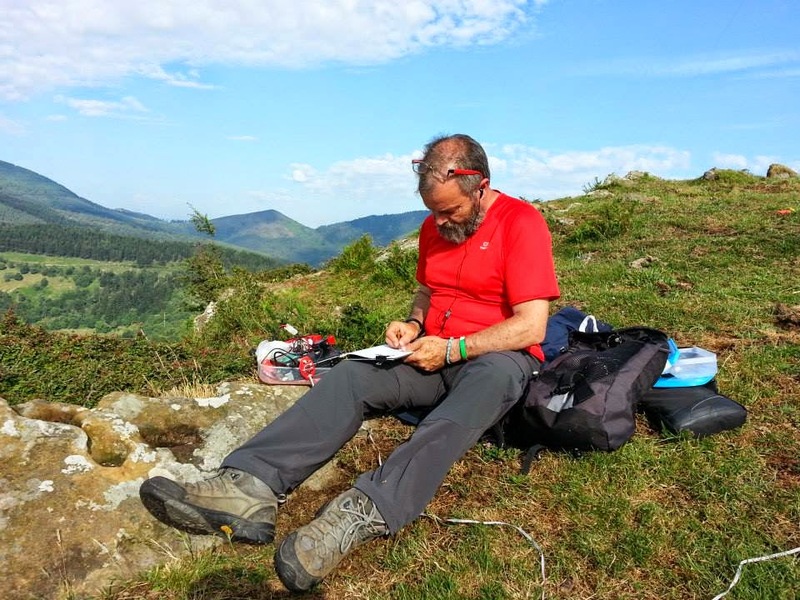 No more special to say, a beautiful and quiet morning, good hiking and some S2S points more achieved thanks to Edwin HB9ZAP, Otto OK2OK, Jean F8TMQ, PA0SKP and Thomas DL1DVE. Well, thank to these S2S, I've reached 3K chaser points... long way already to the next 5K milestone.